The Los Angeles Times reports that a woman in Southern California may have possibly received the first ever distracted driving citation for using Google Glass while speeding on Interstate 15 in San Diego County. According to the LA Times, 44-year-old Ceclia Abadie was driving on I-15 on October 29 when she was pulled over by a CHP officer on suspicion of speeding. 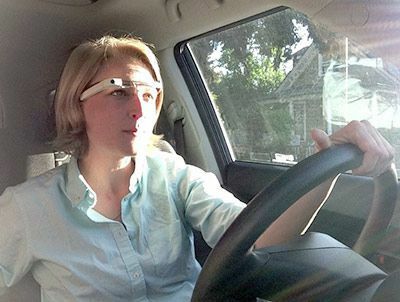 When the officer approached the driver’s side window of the vehicle to speak with Abadie, he discovered that she was wearing Google Glass – Google’s wearable computer that is designed to be worn like a set of glasses. Abide posted a note about her experience with the officer on Google’s social network, Google+, and received a mixed response from hundreds of users. Some suggested she should fight the traffic ticket, while others believed it was common sense that the device would be distracting and put the safety of other drivers on the road in jeopardy. CHP spokesman Jake Sanchez said that while there is no directive in the state law or among the officers to target Google Glass specifically, discouraging distracted driving is a priority for CHP officers. Sanchez added that officers have the authority to make a judgment call on issuing citations for distracted driving. “Anything that takes your attention away from driving – putting on makeup, eating food, talking to a passenger, watching a video, talking on the phone – is dangerous. It’s every officer’s own judgment on whether the law has been violated,” Sanchez said in the statement. Although this particular incident took place in California and therefore was subject to different state laws, Washington State Patrol (WSP) troopers known for their determination in discouraging distracted driving. It would not be a surprise to see if a similar situation popped up in Washington state sometime in the near future, as the popularity of Google Glass is likely to surge when the devices are released to the general marketplace.